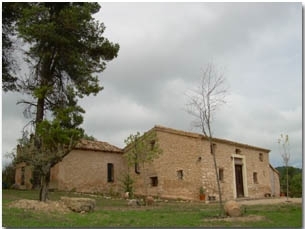 La Masia El Altet of Santa Barbara is located 950 meters above sea level in the middle of Natural Park, 5 km from the town of Bocairent, 14 and 25 km from Alcoy Km.de Villena. 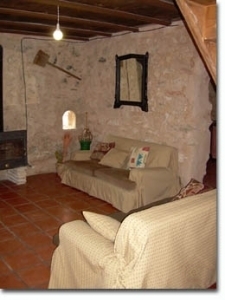 Built in the S. XVIII, consists of two separate houses, the Farm and Winery, which can communicate with each other, with 400 square meters built. 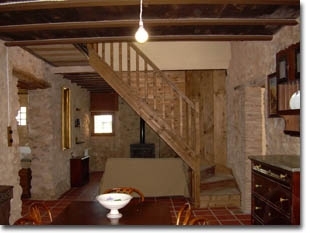 La Masia It is the old farmhouse, renovated respecting the original charm of it. Equipped to accommodate 12 people, consisting of 250 m2 over two floors, 3 bathrooms, 5 bedrooms (three double, one twin and one with two bunk beds), dining room, living room, fireplace, kitchen, heating, etc. Barbecue-grill has 12 m2 where you can eat if the weather is not. 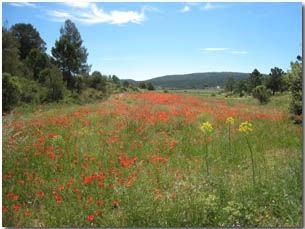 The best, the privileged environment in which the farm is the tranquility (without being isolated), overlooking the valley and horseback around. Less than 300 m you can visit the Font del Pla, the Hermitage of Santa Barbara, GR-7, laundry, poplar centenary, etc. A thousand yards is a dairy farm. 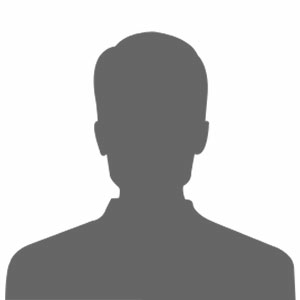 Electric power is generated independently by solar panels in a sustainable way with the environment.